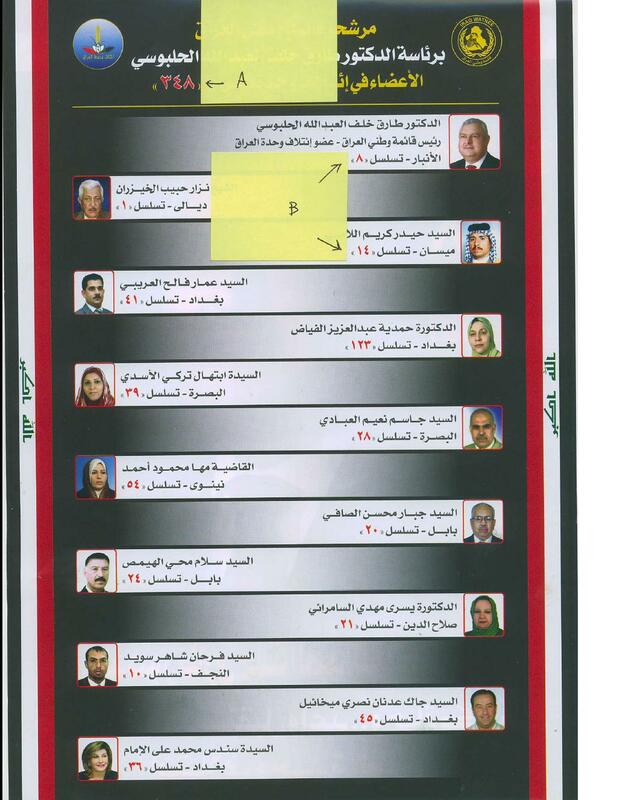 Iraqi parliamentary election was held on last 7th March. 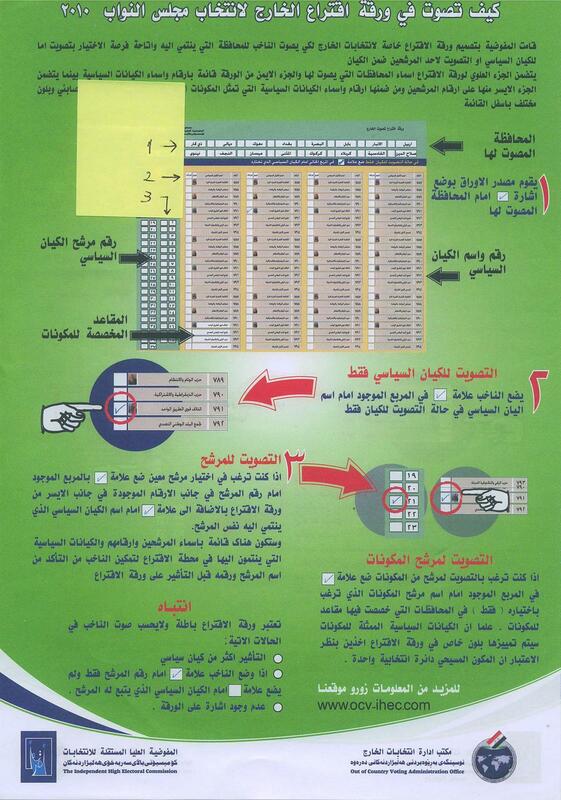 The polling stations were placed not only in Iraq but also in 16 foreign countries. One of them is here in Jordan. Today I am going to introduce the election notice paper that was distributed to every family, which shows how to vote for a party and a candidate. A: Every party has its own number. B: To identify a candidate, every candidate also has his or her own number. Candidate’s name is shown by the photograph. Now, how to vote? 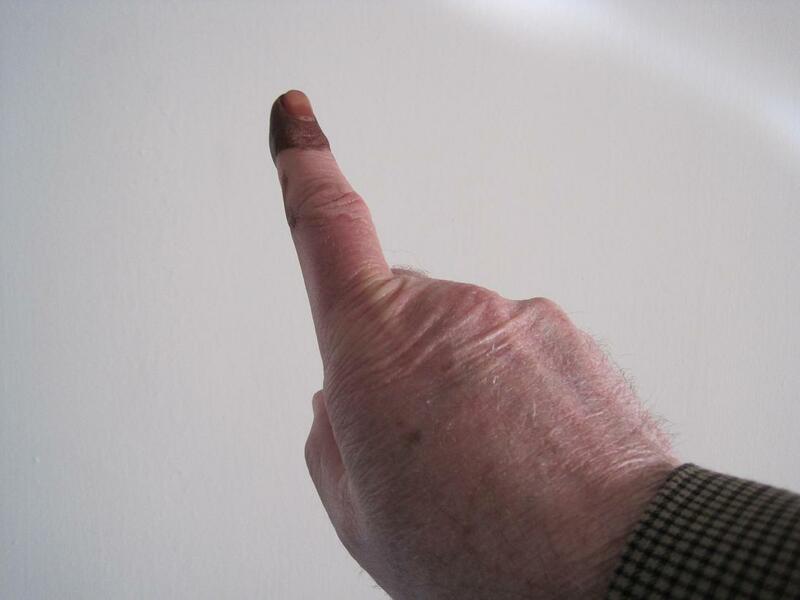 First of all everyone inks their forefinger as they visit a polling station. This ink seems to stay and difficult to remove and we see people with ink on their finger everywhere on the street! First, you receive a voting paper and mark following three questions. Once the three sections are marked, voting is completed! It was another interesting finding of different voting systems in Iraq and Japan.